Delivered inquiry-driven field trip programs at no cost to public schools. 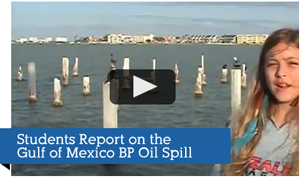 Has educated over 7,000 local students on the importance of water quality and watershed ecology. Removed over 5,000 pounds of litter from local shorelines. 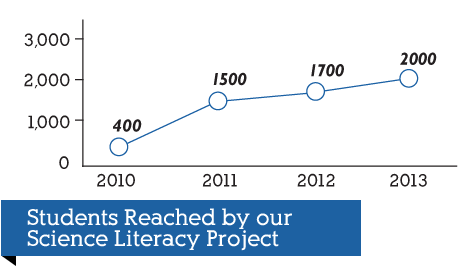 Enhanced community science literacy, as over 75% of our students demonstrated academic gains. 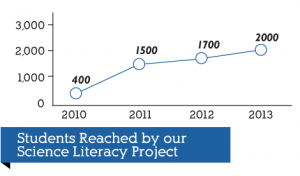 Indirectly reached over 100,000 community members through school conservation projects. While Nature’s Academy’s educational programs sustain the company, we have managed over $295,000 in grants and donations to support trips for public schools. Out of the five states bordering the Gulf of Mexico, Nature’s Academy received the Third Place EPA Gulf Guardian Award in Youth Environmental Education. 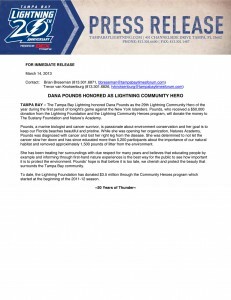 The Florida Wildlife Federation honored Dana with the 2014 Conservation Educator Year Award. 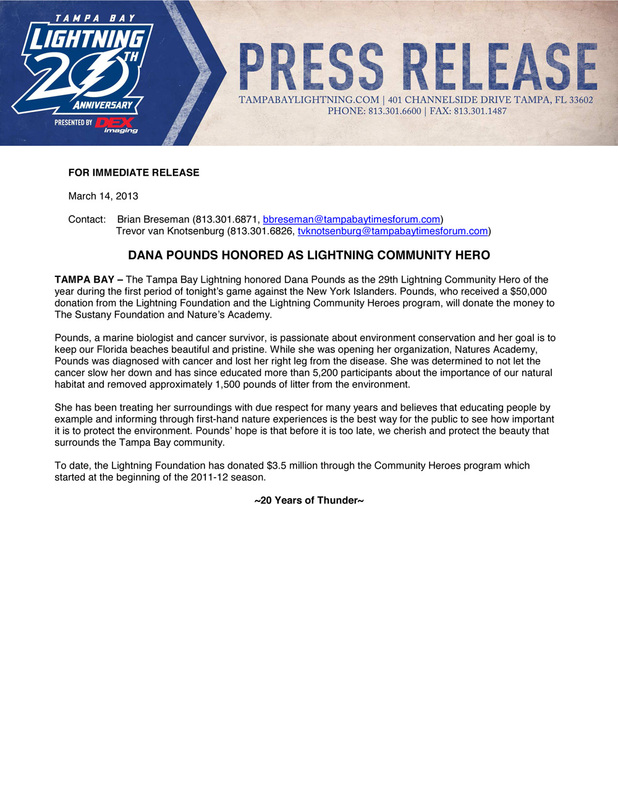 Dana Pounds was named a Community Hero by the Tampa Bay Lightning Foundation, and was presented a $50,000 check for a charity of her choice. Dana designated portions to the Sustany Foundation and Nature’s Academy. Click here and Get Involved today!